Becker: You saw a few of the real great people I get to work with each day. A few are in the audience today. 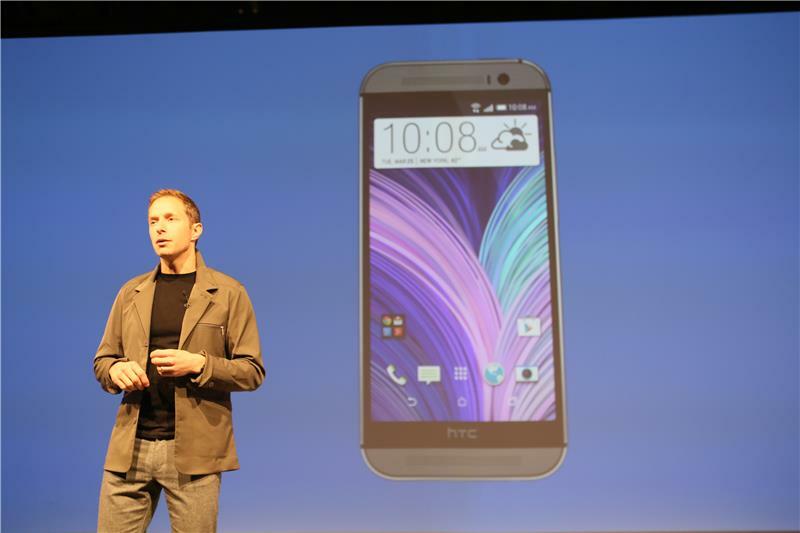 Becker: At HTC, not just about industrial design but great experience. 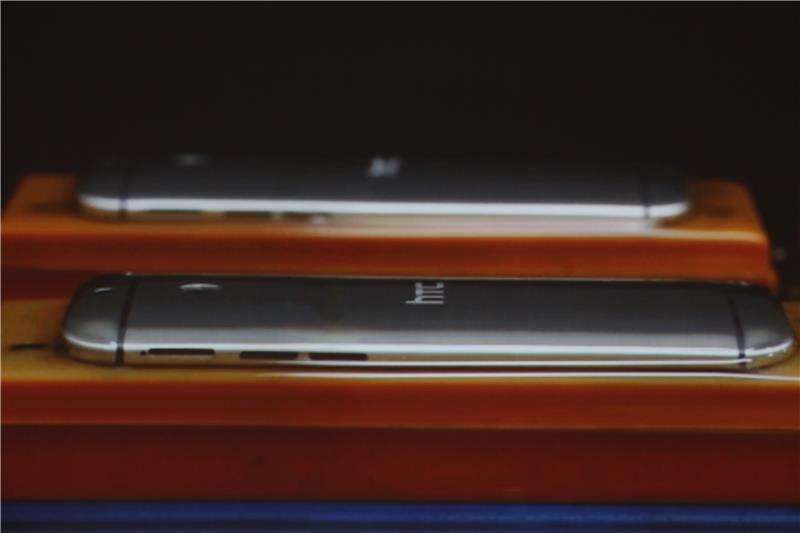 Sixth version of Sense UI, or how we like to call it "Sixth Sense"
Can anyone top HTC in terms of pure smartphone industrial design? Nokia? Anyone? Becker: Let me tell you a little about the visual makeover. 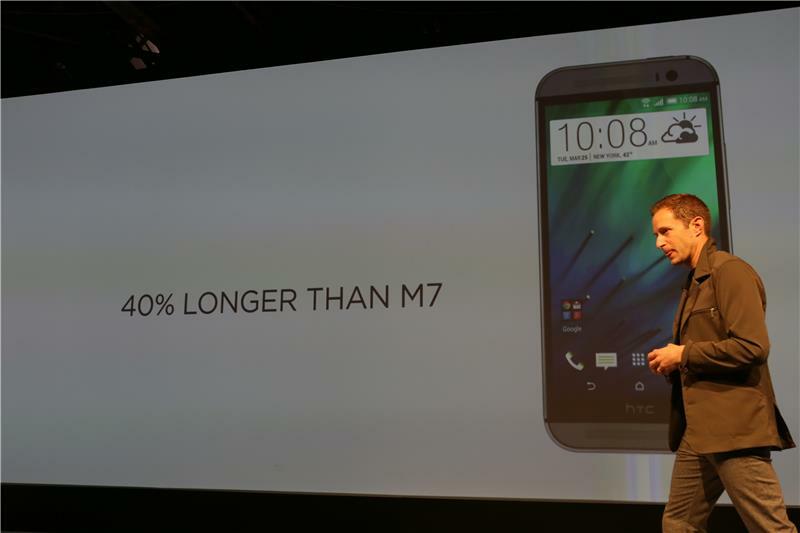 Redesigned Sense from top to bottom. Intuitive, fresh and bold. More open space, making it more modern and easier to read. Becker: The color you see, it goes beyond pure styling. Color also marks simple activities so can see where you are. Here we go! 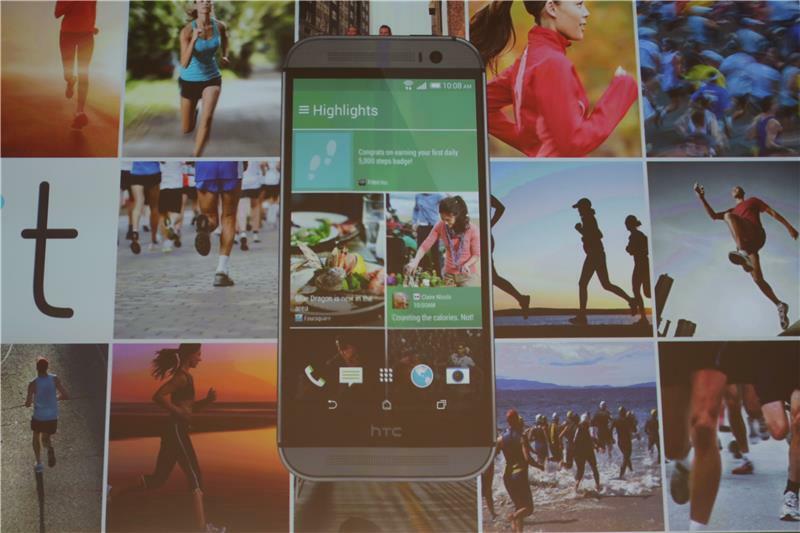 Another revamp of the HTC Sense UI is happening...called Sense 6. 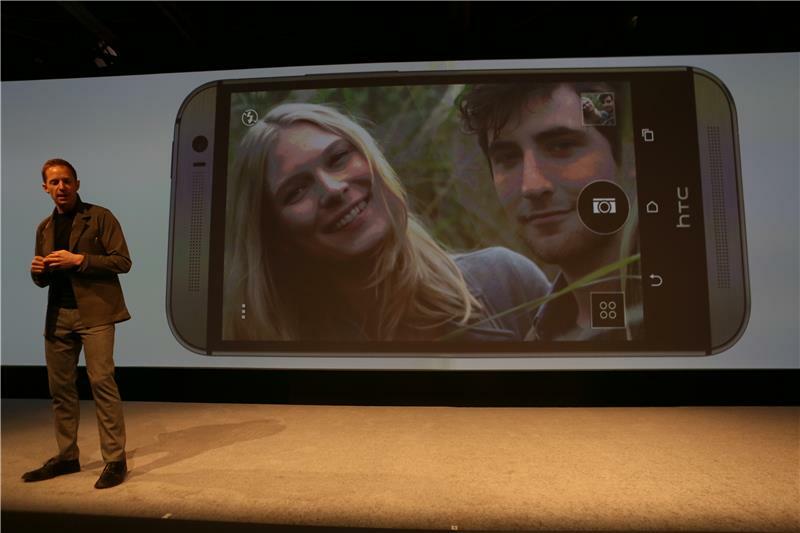 Becker: Last year introduced Blink Feed. 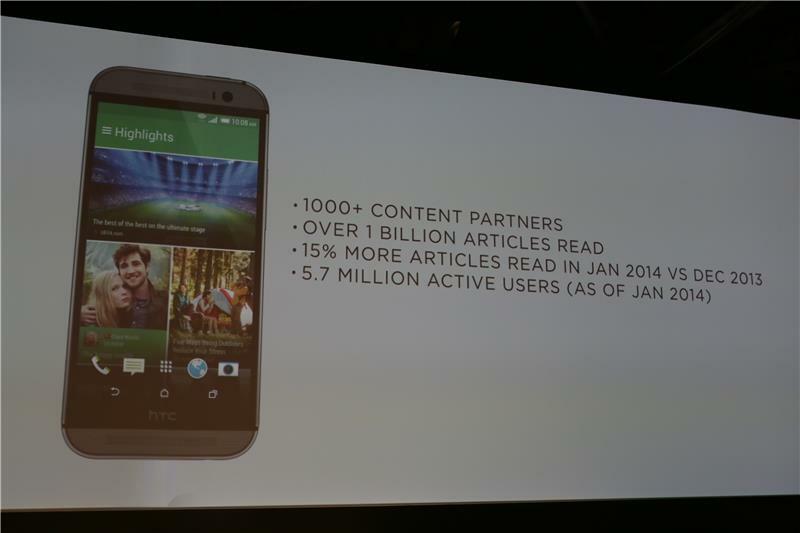 Becker: With new version of Blinkfeed, make it even easier to find the content you're interested in. Articles easier to browse and read. Can create custom feeds on any topic. Hmmm, it looks like you can now tweak Blinkfeed with custom news feeds, Samsung's My Magazine doesn't do that. 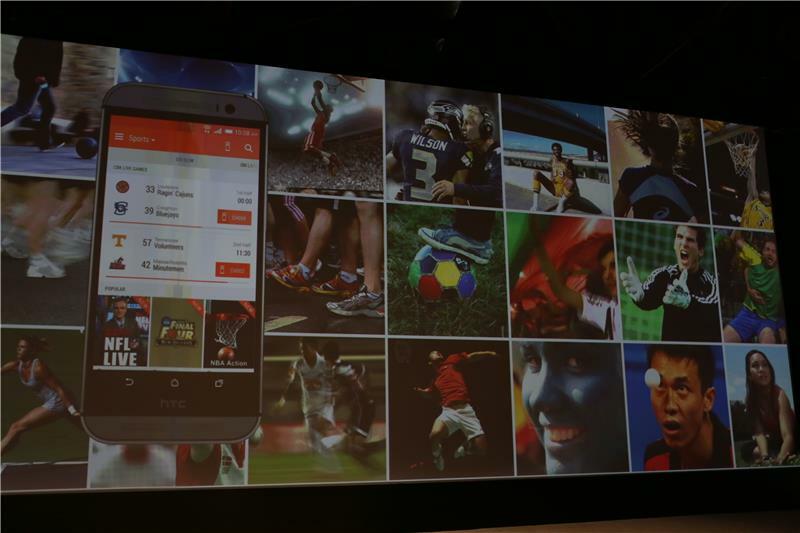 Becker: We see a lot of potential to make Blinkfeed even more intuitive. Opening it up to developers so they can integrate content in ways that's interesting to you. One of our first partners is FourSquare. Will publish restaurant recommendations right in feed. Fitbit also - can use as fitness activity tracker. 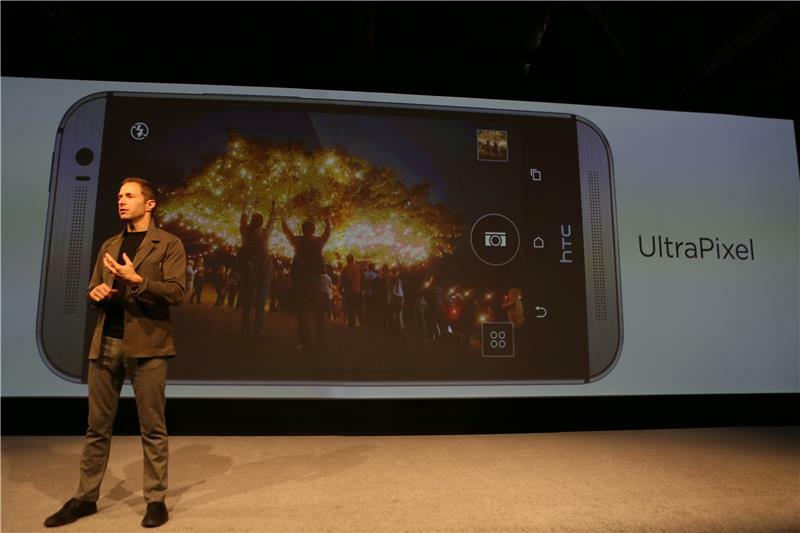 Becker: On the HTC One M8, visual layout makes it easier to see what's on. Now included real time social feeds and sports stats. When watching show, can swipe to right to get to official twitter pages. 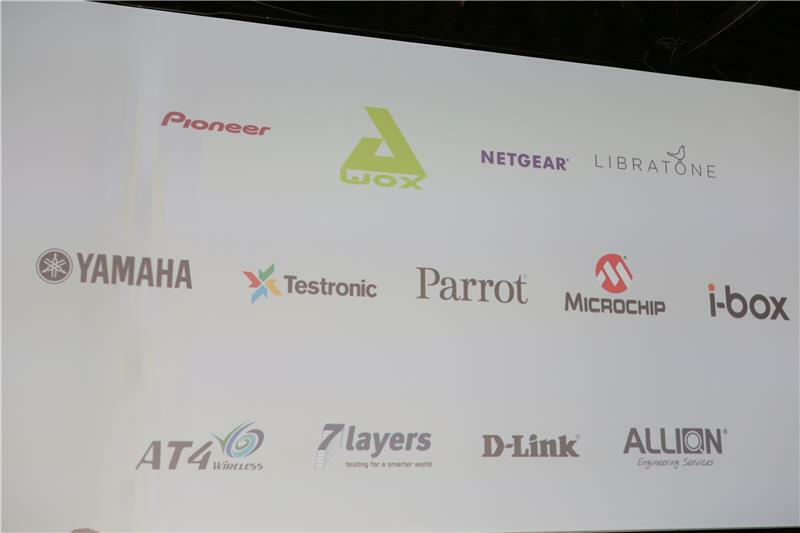 Hey, now Fitbit will work with some onboard activity tracking inside the One M8. Sounds good, and competitive with the GS5 and iPhone 5S. Becker: Finely tuned, multiband amplifier. Also redesigned speaker chambers. Results in audio 25% louder and has more depth. Clearer sound with everything you're listening to. The BoomSound speakers on the old One were pretty dang loud...if the M8 is even louder...well that's something. 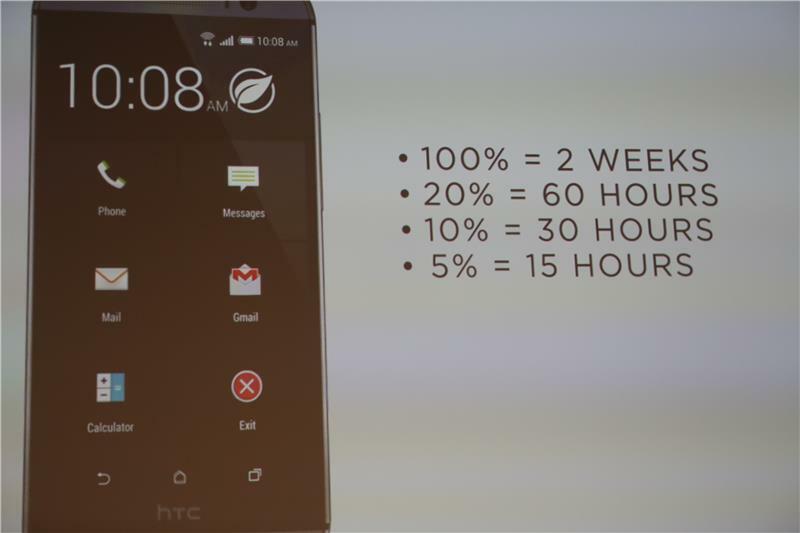 Becker: Some people check their phones over 150 times every single day. This Extreme power mode is going head to head with the Galaxy S5's similar feature. 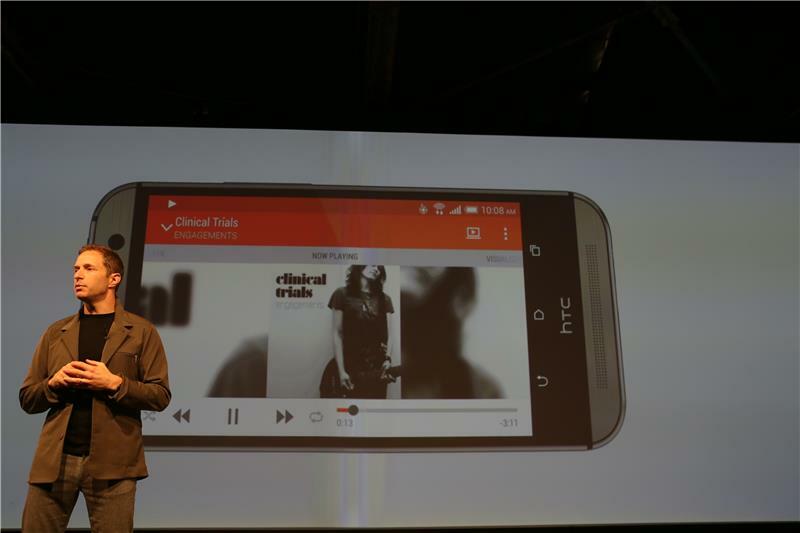 Becker: HTC One eliminates steps and lets you bypass power and unlock. Constantly monitoring speed, power, proximity. M8 able to anticipate what you want to do. 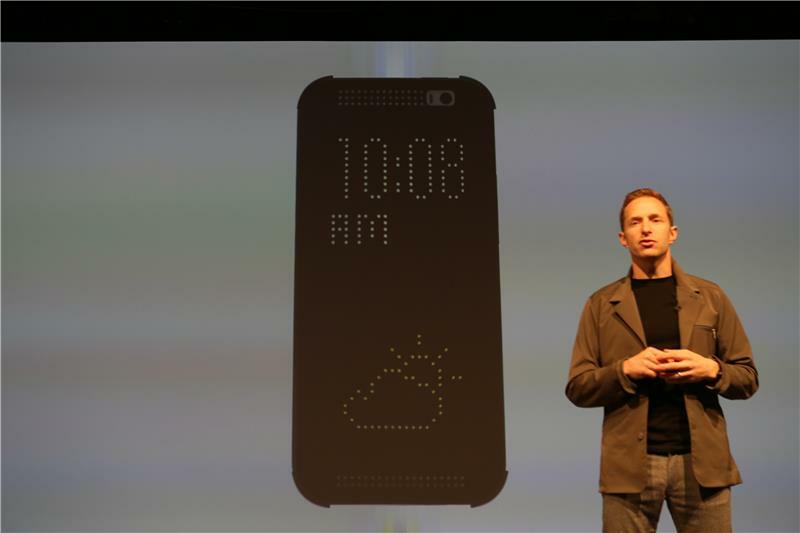 Becker: If want to check time, can double tap on screen. Double tap again to turn it off. Becker: Hold up to ear and answers phone automatically. All thing can do with one hand. Goal is to make tasks use every day simple to do. 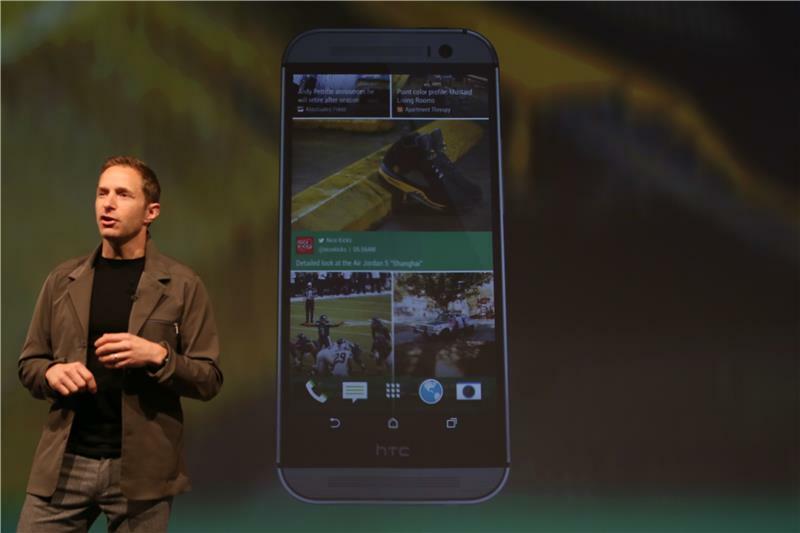 Ah, HTC is taking pages out of LG's and Motorola's playbook for gesture controls. Interesting. 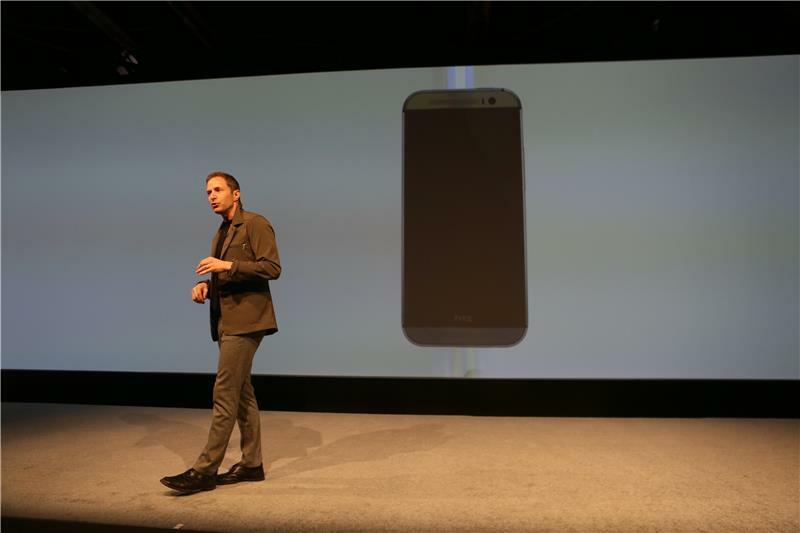 Becker: Dot matrix view of phone right on cover. Can double tap on case. Will show who's calling etc. Becker: When it comes to mobile photography, pioneered whole new approach to how capture and share best moments.